Google’s “willful and knowing actions” violated federal wiretapping laws, among other statutes. Now THAT is some serious stuff right there, and if I were Google I would be drawing straws to see who will carry the can and do the jail time that this sort of thing can result in. In the European Union, this has HUGE potential consequences for Google as it breaches the 1998 Human Rights Act. you know, that tiny little piece of legislation that forces the UK etc to release paedophiles and convicted terrorists into the community, but prevents us from sending them home? The LAW states that every EU citizen has the right to privacy in their home and family life. Google have breached what is a fundamental human right. and they have done so deliberately by by-passing a mechanism that was there for this very reason. People have a legal right to privacy, and if a company can’t or won’t abide by that right, then they should not be allowed to trade within that community (in this case the EU) Google are currently being investigated on multiple fronts within the EU and anti trust case is as we speak being finalised and the outcome will be made sometime in March. This particular case is for illegally promoting Google owned properties, on the Google search results. The above anti trust law pales into insignificance however compared to the alleged breach of human rights, legislation that is so powerful, it has recently prevented the deportation of a convicted Al Qaeda terrorist, such is the might of legislation Google have breached. I would hope that this is not swept under the carpet, like so many other instances of illegal behaviour before them. Google has ENORMOUS power, and there are two saying that are ringing in my ears right now. 2. Power corrupts, and absolute power corrupts absolutely. As someone who witnessed the birth of Google within search, it pains me to see what they have become, and are becoming, and that is just another power hungry run rough shod over anyone to get what they wat, type corporation. Google have sadly changed from an information provider to an information seller. 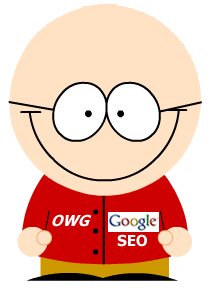 In the early days, the search results were far better – granted there was SERP spam, but this was easily spotted. Now the results page is a large part paid advertising, with many of the natural results being delivered poor quality… tail wagging the dog? money is the driving force without question, but they shouldn’t ride rough-shod over the laws of the countries they operate in.